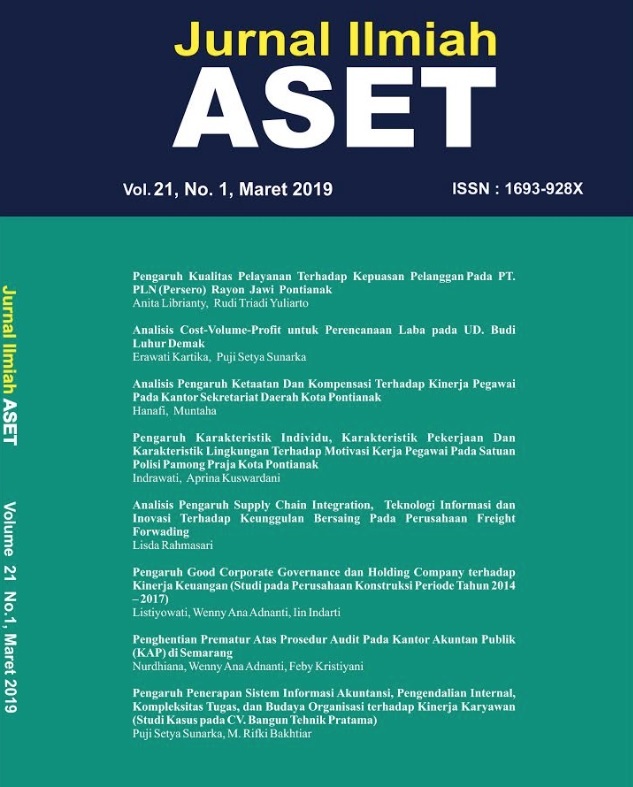 The purpose of this study was to examine the effect of accounting information system, internal control systems, task complexity, and organizational culture on employee performance of CV. Bangun Tehnik Pratama Semarang, The population of this research is all employees of CV. Bangun Tehnik Pratama Semarang, totaling 45 people. The method used in this study was census, so the sample in this study were 45 people. Based on the results of hypothesis testing the results of this study showed that: there was a positive and significant influence of accounting information system variable, internal recognition system variable, task complexity variable, and organizational culture variable on employee performance.